Heinloth Holding GmbH & Co. KG has equipped its entire fleet with new telematics solutions from Trimble. The logistics company is expected to benefit from significant cost and time savings with the permanently installed Truck4U unit, the mobile FleetXPS on-board unit and additional software applications. The dispatching team and the drivers are seamlessly and transparently integrated, allowing information to be exchanged automatically. Heinloth can add more software modules for downstream processes in order to keep pace with future digitisation in the logistics industry. This flexible solution also makes it quick and easy to integrate subcontractors’ vehicles into the telematics system. We’re using telematics to optimise our dispatching and fleet management system, delivering significant savings. The group’s core business consists of the multi-sector and intermodal transport of full and partial loads. To optimise its processes, the logistics company uses the Truck4U and FleetXPS products in 170 vehicles to improve the continuous flow of real-time data between vehicles and the back office. The mobile FleetXPS on-board unit provides maximum flexibility with a range of add-on processes; for example, barcode scanning and photos of damaged goods. In addition, the solution will also be quick and easy to integrate subcontractors’ vehicles into the in-house telematics network. Since important information is available via the system, certain departments will now have less manual work to do. 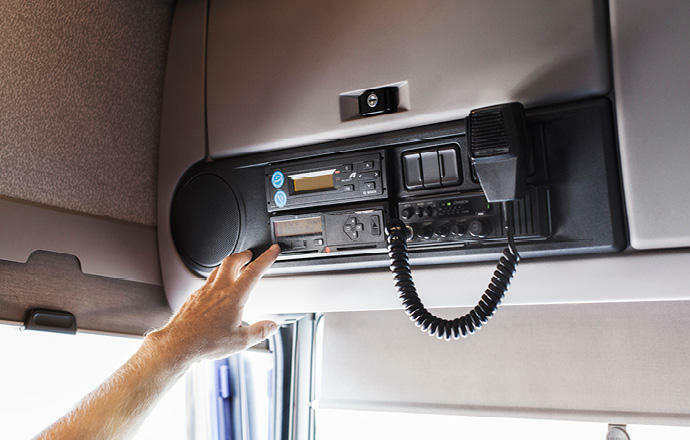 Dispatching can plan the use of staff and vehicles more efficiently because they have real-time access to vehicle locations and the available driving and rest times for the drivers. They can use the extensive filtering, searching and reporting functions in the software to display only the information they need. 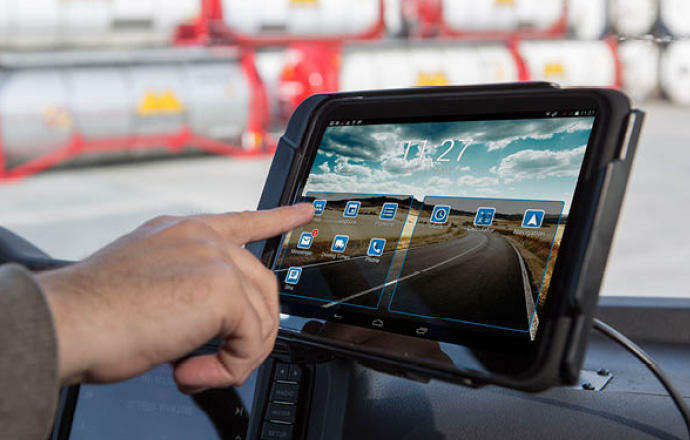 The Trimble solution’s Remote Tacho Download function automatically supplies the fleet management system with driver-card data and mass-storage data, removing the need for a manual download. In fleet management we save about 70 working hours a month. Heinloth also uses the Driver Performance Portal, Trimble’s web-based analytics tool for fuel savings. The portal software provides relevant data. For example, fuel consumption can be analysed alongside criteria such as the use of cruise control, speed, idling and braking behaviour. Using the outputs from this analysis, fleet management then introduces initiatives to optimize driving behaviour, potentially resulting in even greater savings. On the accounting side, the company is also introducing automated payroll and expense accounting FleetHours. Remote Tacho Download and the real-time transmission of driving and rest times replace manual data entry. This saves a lot of time for administrative staff in the back office and for drivers. 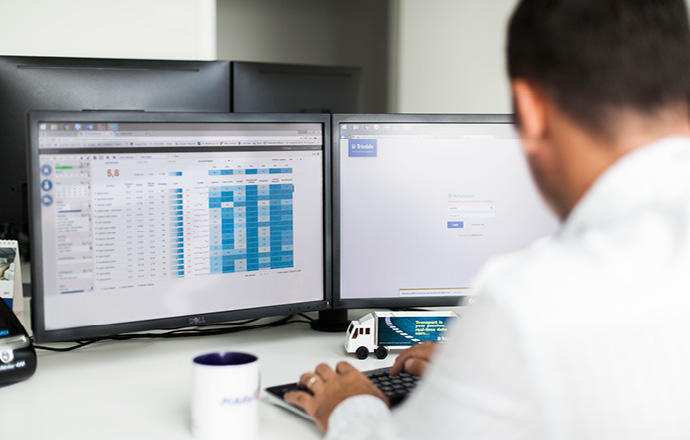 The Driver Performance Portal and automated payroll and expense accounting are just two of the many optional software modules that complement the functionality of Truck4U and FleetXPS. The software application also has add-ons to optimise processes downstream of dispatching and fleet management, as Sebastian Prinzing, project manager at Heinloth, explains: “We can use them to handle processes not covered by standard telematics functionality.” The project manager envisions using more modules in future. He says there are two areas—service and process optimisation—the logistics company want to prioritise, and it will keep a close eye on developments. “We’re certain that Trimble will have just the right product, however things develop,” adds Prinzing. The driver card archiving module is already planned for the medium term. Sourcing all modules from a single vendor means that rapid and straightforward integration is ensured. This option was extremely important in the original choice of system. Following extensive market analysis, Heinloth opted for Trimble out of a field of 12 telematics vendors. All solutions underwent a direct comparison, with two systems chosen for three months of testing in selected vehicles. From the start, it was important for us to work with a vendor with many years of market presence and experience and solid references, guaranteeing a sustainable business concept and offering compact and practical solutions.